Home » Activities » Photography and Video » Man-Babies! File this under: “What will they think of next, and why can’t I think of goofy ideas like this to make a few bucks? 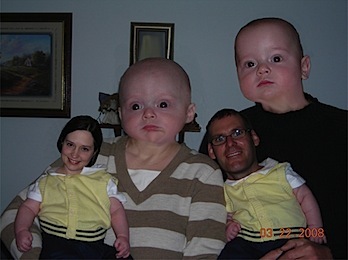 ManBabies.com does a mashup of your baby’s head and yours to create an arresting combination. It’s too bad you can’t upload your own photos and instantly make a “man-baby,” but you have to “submit your photos” via email and wait/hope to be chosen. 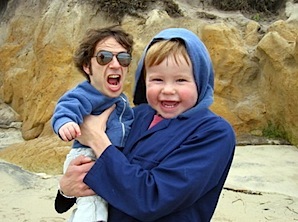 Stlll, the site is worth a quick gander just to see some funny looking dasd and their kids. In some cases, the dad head (or expression) goes better with the baby or child body. In some cases, the result is simply grotesque.